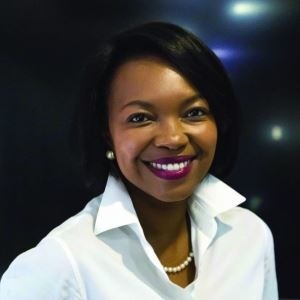 A sudden awareness of the huge range of foreign skincare brands used by African women led to Dr Theo Mothoa-Frendo identifying a gap in the local market for a skincare range specifically tailored to their unique requirements. To fill this gap she established a cosmetics company, African Dermal Science, which in November 2017 launched its first skincare range, named Uso. What did you do before you started African Dermal Science? I qualified as a medical practitioner at Medunsa (now Sefako Makgatho Health Sciences University) in Pretoria, after which I practiced medicine at various hospitals in the province, including one in Soshanguve, where I grew up. Thereafter, I joined Roche Pharmaceuticals, where I worked my way up and became the medical director for sub-Saharan Africa, focusing on clinical research, product development and medical marketing. Having grown up in an entrepreneurial family, I always dreamt of starting my own business and developing products that addressed our specific needs as Africans. What gave you the idea to start a skincare company? Looking at my bathroom shelf one morning, I was struck by the many skincare brands I owned, the fact that all of them were foreign and that none of them quite satisfied my needs. I pitched the idea of starting a range for Africans to family and friends, who thought it was great considering my pharmaceutical background and lifetime love for skincare products. I then launched African Dermal Science, which focuses on the research, development, manufacturing and marketing of science-driven skincare solutions addressing the unmet needs of Africans. What did you do to prepare yourself for this journey? I studied an MBA to empower myself with business skills. For my thesis, I investigated what African women would expect from such a product. The research revealed a huge demand for products to better address uneven skin tones, particularly around the forehead and mouth; hyperpigmentation, mostly around the cheeks; oiliness, which is a result of melanin-rich skin; and seasonal dryness as well as sunscreen that did not leave the black skin grey. I knew from my experience in the pharmaceutical industry that I would have to create a world-class product if I wanted to compete with international skincare brands. Therefore, we teamed up with renowned cosmetic scientists to develop a product that was continuously reformulated until a panel of South African women were satisfied with it. We worked with a team of marketing and brand experts to position, market, label and package the product for the best possible outcomes. Why do you call the range Uso? Our marketing expert suggested we use a name that was easy to remember and had an African root. Uso means face in Swahili and is a derivative of the Nguni word “ub-uso” with the same meaning. Where did you get start-up funding? Finding seed capital, never mind growth capital, was much harder than I anticipated. We thought we had a great product with good research validating its demand, but until we had confirmed access to market, we couldn’t raise funding, which was ironic, considering we needed capital to manufacture enough volumes to get to the retailers. In the end, we as a family self-funded most of the development and growth. While it was tough on us financially, our vested interest in the business inspired me to work even harder to make a success of it. It consists of six advanced skincare facial care products, including a cleanser, essence, serums and day and night creams, essential for a glowing healthy skin. We combined the best of what nature and science has to offer to formulate the range. The research we conducted revealed that users wanted a simple-to-use yet effective skincare range, so we numbered the products from one to six to guide people in the order they should be used. Packaging is also either white or black, to indicate whether the product should be used during the day or at night. In a market that also has unregulated imported products that are harmful, Uso products are clinically tested and dermatologist-approved. We launched the product in November 2017 at a pop-up shop in Sandton, where women could come in for skin consultations with qualified skin therapists. From there, we started supplying our product via our online store, pop-up stores and independent stockists, including aesthetic practices. What was your first real break? When Edcon in December 2018 agreed to stock our products. We started negotiations with Edcon while still in the product development phase, realising from the start that we would have to be on the same shelves as our competitors if we wanted to make it. Edcon allowed us to expand our reach by giving us access to 25 of its stores across SA, and also to break into Namibia and Botswana. We have since also broken into Mozambique via an independent stockist. How important are online sales? Online sales are still a small but very important aspect of the SA skincare industry. Research has found that the majority of cosmetic companies generate less than 10% of their sales via this channel, most probably because people want to touch, feel and smell a cosmetic product before they buy it for the first time. The marketing channel gets more important as people become more familiar with the product. What is your business agreement with stockists? Each stockist is assessed individually to identify its suitability, after which a sales agreement that suits both parties is negotiated. Some stockists buy on consignment whereas others are supplied wholesale. How do you keep logistic costs low? We try to simplify and streamline everything we do. With logistics this means that we plan distribution and delivery to be on the same day where possible to minimise costs. Our focus is still on developing the brand and increasing awareness and sales. We do this through a mix of digital marketing and public relations, and we are also getting into influencer marketing as it is one of the key drivers of the industry. Quite a few internet influencers have so far picked up on and reviewed our product, which shows we are on the right track. Customers these days are more prone to listen and associate with influencers, because they can relate to them on a personal level. Besides access to capital, what has been one of your biggest challenges so far? We were left in dire straits when at one point we ran out of stock, due to delivery delays from overseas suppliers. Some may say this is a good problem, but it led to customer disappointments, which had to be managed to maintain loyalty. We have put various measures in place to minimise the risk of running into the same situation as we grow. Finding the sweet spot between supply and demand can be one of the biggest makers or breakers for a new business, especially for a company like ours that sources most of its raw material from abroad. Competition is tight, with over 90% of the market belonging to foreign international companies with deep pockets. Our advantage is that our product is specifically developed for Africans, many of whom are suffering product fatigue because they have tried so many brands that did not work for them. It is also relatively affordable in comparison with some of the other high-value products. We are a team of eight with some of the functions outsourced for expertise and efficiency. The team is made up of in-store consultants, logistics, marketing and admin managers. We are already working on a men’s range that we hope to launch later this year. Besides this, we want to expand our footprint locally and in the rest of Africa, which would require the building of relationships with stockists in these countries and a significant increase in production. The one tip I was given at the beginning was: You need to decide whether you are building a big business or a hobby, since this will determine the amount of effort you will invest in the business and, in effect, its success. If you are running a business, you will take care to manage administration and finances properly, whereas this will be at the back of your mind if the business is a mere hobby.